We find that people are seeking alternatives to traditional burial for a variety of reasons. Some are concerned with preserving the planet and want something that is more earth friendly, while others want to live on in some impactful way. Still others just want to find unique, personal ways to be remembered. Whatever the reason, alternative burials are increasing in popularity and inspiring people to find beauty and purpose in death. We’ve collected several of the more unique or unusual ways that people are remembering their deceased loved ones. Some of these are truly breathtaking pieces of art; others are specifically designed to support a green burial preference. Many of these will touch your heart. You are sure to be inspired. Heavenly Stars Fireworks is a fireworks company with a twist. 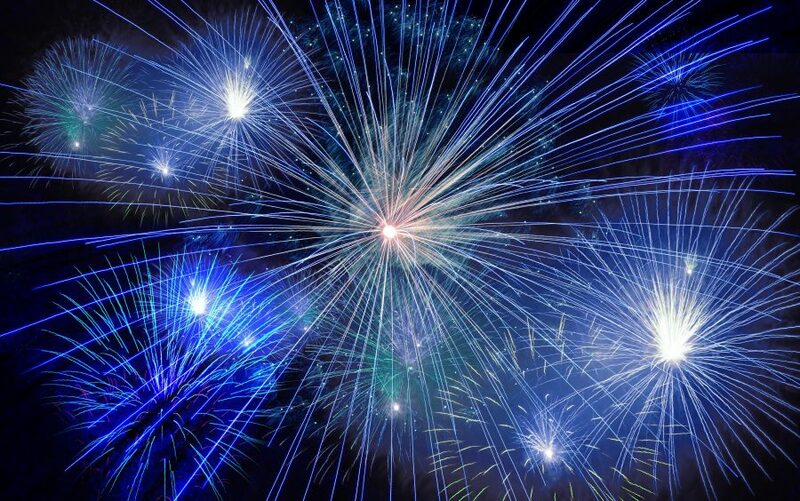 They offer several ways that you can scatter your loved one’s ashes, including via fireworks. They incorporate the cremains of your loved one into the fireworks. Then you can self fire to create your own personal tribute, or they offer fireworks displays that are professionally fired. Eternal Reef has created a product that could be classified under green burial because it not only is a permanent living legacy for your loved one who has passed, it also helps to protect and preserve the oceans. The reef balls, constructed of concrete and cremains, help to rebuild the ocean reefs and rehabilitate the dying ones, providing harborage for marine life and supporting the marine ecosystem. Now your loved one can give back to the earth and help save ocean life. In the Light Urns will create a beautiful hourglass with the cremains of your loved one. You can choose different sizes, styles, and types of wood. They also have hourglass pendant urns as well. Each piece is finely crafted and shows impeccable workmanship. There is also a space for engraving if you want to include a name, date, or sentiment. In addition to hourglass urns as cremation containers, this site has many other beautiful keepsakes including Christmas ornament urns and keychain urns. Scattering Ashes is a UK based company that incorporated cremains into glass to create absolutely stunning pieces from earrings, pendants, and beads to vases, paperweights, and even a glass walking stick topper. This is a truly beautiful, touching way to remember your loved one and keep them close to you always. Life Gem has found a way to turn cremains into a diamond. They have developed a complex process that allows them to take a lock of hair or cremains, extract the carbon from it, and create a diamond. You can also add some of your hair to the material you send them, and they will blend it together, so the diamond is a combination of you and your loved one. What a beautiful way to stay together forever. Artful Ashes allows your loved one to be part of breathtaking works of glass art. These lovely hearts and globes are swirled with color, incorporating the cremains into something that is truly unique. Each piece is stamped so that it can be identified. Take a look at their gallery to see photos from actual clients displaying their Artful Ashes pieces at home, at memorials, and graveside. Ash Beads is a site owned by artist Merry Coor; she creates ethereal glass planets that incorporate your loved one’s cremains. They can be used and pendants or beads or even sun catchers. Whatever you choose, they are most definitely something to see. She also creates ash glass pendants and rings at her Etsy store Memorial Ash Beads. Spirit Pieces is a site that features a number of incredible glass art pieces incorporating the cremains of loved ones, but one piece that stands out is their darling glass hummingbird. This delightful, tiny, colorful bird is just a tad over two ounces and has a hanging hook, so it can be suspended as if in flight. 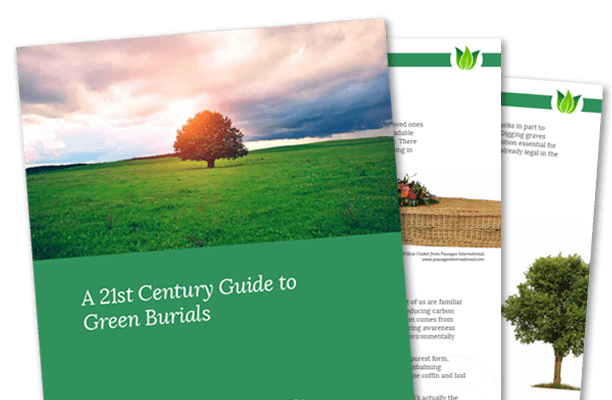 If you want to know more about green burials, we have compiled what you need to know in our free Guide to Green Burials. Learn about this ancient practice and how it is gaining popularity in the 21st century. Learn about the ancient practice of green burial and how it is gaining popularity in the 21st century.